This is certainly not what you usually see in an "ABC" panel. The letters are black and very modern. Animals are in dark modern colors that create a very different feel. The pattern from Hoffman has full instructions and this project is great for using up lots of "stash" for the top and bottom section. 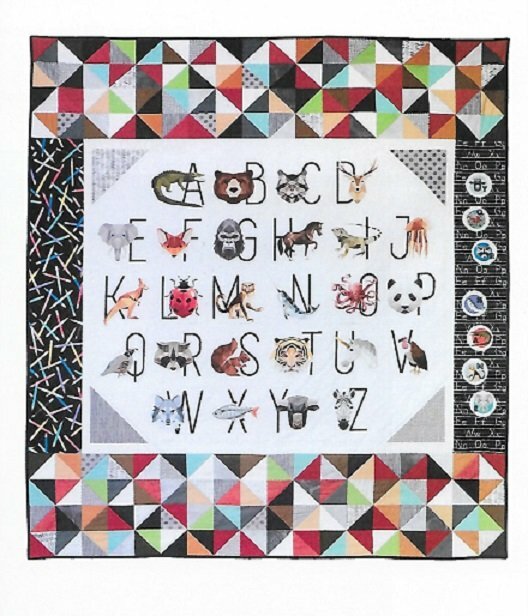 We are hoping you'll put those scraps to use on this one--so we have the panel available, but have not made a kit!